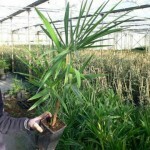 Trachycarpus species: a complete overview! 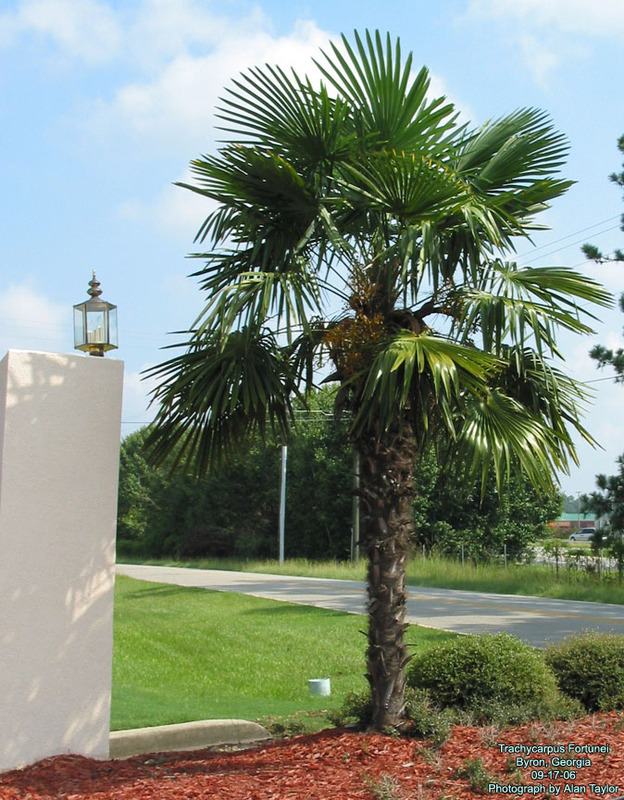 Thanks to its interesting features, the Trachycarpus is undoubtedly one of the most popular palms in our gardens. 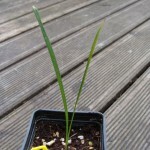 It is very hardy, grows relatively quickly, requires little care and is also easy to sow as well. Therefore, it is more and more found in every garden center. 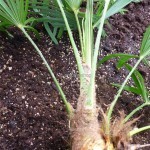 Usually, it is the Trachycarpus fortunei that is sold, even though its old name is still used. 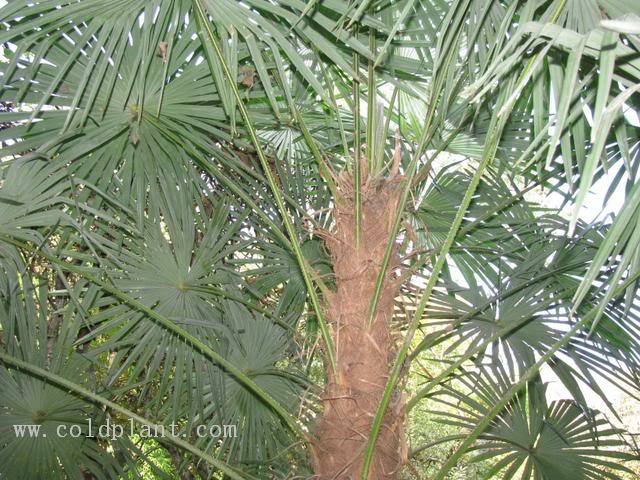 But also the Trachycarpus fortunei var. wagnerianus is on the rise. 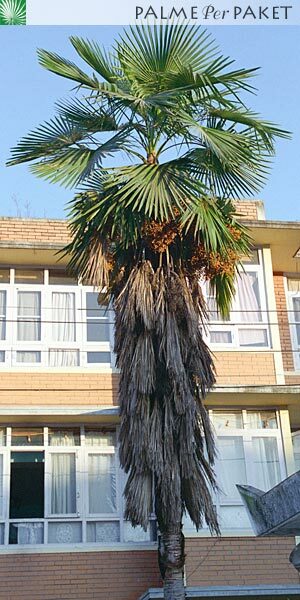 Because the genus Trachycarpus contains many species and varieties; hereby the most complete overview! 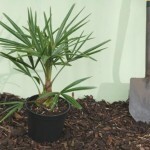 Most popular and most sold palmate palm tree. It really copes well with our cold and humid climate. It can be sown easily where it needs temperature no higher than 20°C (68°F) to germinate. During the summer months you can even sow it directly in the garden. 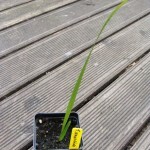 In its early years it grows quite slowly but once the stem is formed it will pick up a faster growth rate. Recently “stripped” version are more often sold, where the stems were cleaned from the typical fibres. This This pure aesthetic operation hardly affects its hardiness, but gives the palm a very different appearance. Stripping the stem can be down by yourself as well. 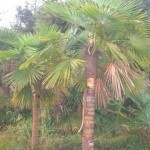 Very popular palm that has been on the rise in recent years. He is well resistant to cold and humidity and can therefore be well planted in the garden. 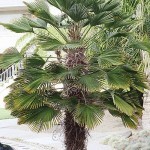 Its stiff fronds makes it more resistant to wind. In addition, it takes up less space than the fortunei, making it also very suitable for smaller gardens or the terrace. 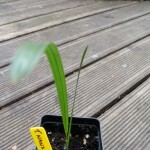 As a young palm it grows slowly but has a nice “bonsai” look. As a result, it is quite popular as a container plant. Once bigger, the growth rate is approximately equal to the fortunei. Some claim that the wagnerianus is a little less hardy than the fortunei, but not all hobbyists share this opinion. A variation to the popular fortunei, but native to the Darjeeling region in the north-east of India. The fronds are a bit more compact and stiff. 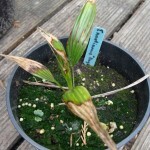 The stem is quite similar to the T. fortunei ‘Tesan’ but the fronds are smaller and brighter green colored. The stem fibers come off easily. 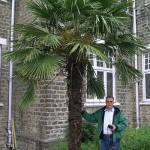 Trachycarpus fortunei selection from Bulgaria. Very beloved for its hardiness. Very rare species that is only found in some distant mountain range. 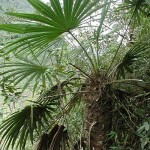 Stays relatively small, the fronds are colored from yellow to green. Rare species with a relative short but thick stem and big fat fronds. The big seeds (biggest in this genus) are covered with a white waxcoat. Rare species that looks a lot like the normal fortunei but has its leaflets placed 360° around the petiole. 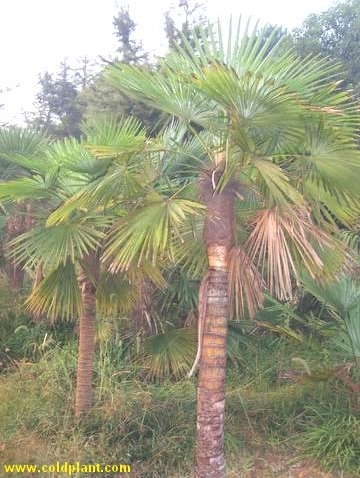 A weird appearance among the other Trachycarpus species because of its fronds. 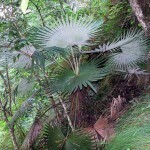 The fronds have about 40 leaflets per leaf which are place two by two (geminisectus = twin). Leaves are thick, leathery, deeply green colored and shiny with underneath a thin wax coat. 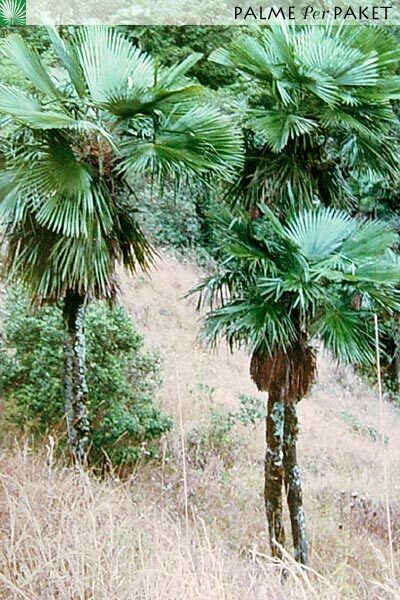 It is native to north Vietnam and China not far from the border with Laos and Vietnam. 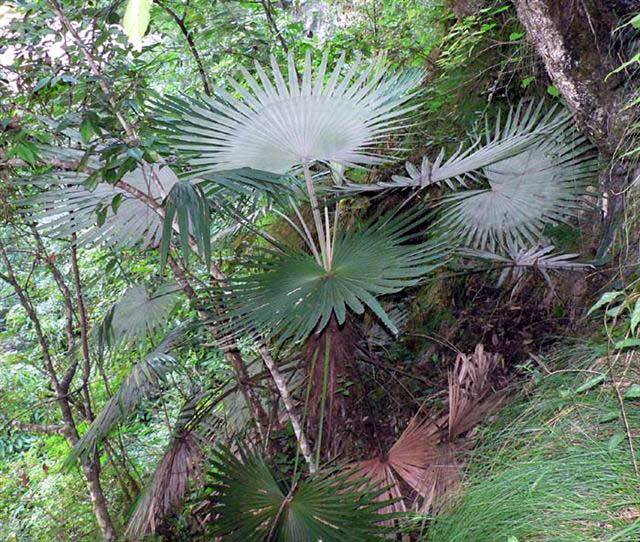 The name latisectus refers to the wide leaflets which is indeed one of the most known characteristics of this species. (leaflets are about 5 cm (2 in) wide which is much wider than the regular fortunei). Generally the leaves are also shinier. The stem isn’t covered with fibres and the seeds look like coffee beans. 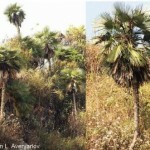 Its habitat isn’t really big and luckily this species is cultivated to be conserved. It is native to the Sikkim Himalayas in the north-east of India. Young subjects must be protected from full sun and can be sensitive to red spider mites. 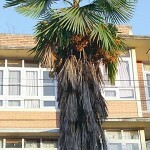 One of the most beautiful Trachycarpus-species. The leaflets are deeply cut out with a lovely form and light green color. The stem is slender and is not covered with fibres. It is unfortunately less hardy than to other species. It has difficulties to well maintain in European climate with a slower growth as well. Light green leaves, with a lot of leaflets which bend over gracefully. This gives this species a more tropical look and makes it the exact opposite of the T. wagnerianus. Little is known about its hardiness but it will probably be one of the less hardy species. 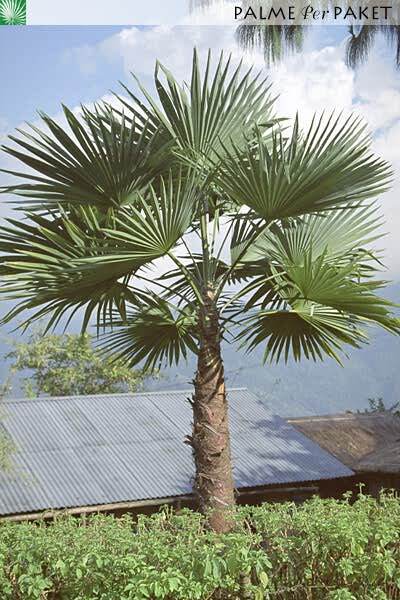 This cultivar has the same characteristics as the ‘Khasia Hills’ but is native to a more northern region of the Himalayas and grows on higher altitudes. This makes the ‘Nepal’ a little bit more hardy than the ‘Khasia Hills’. 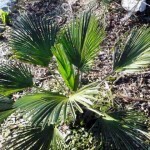 Its fronds are also darker green but smaller with less leaflets. Grows quite quickly. The smallest member of this genus. 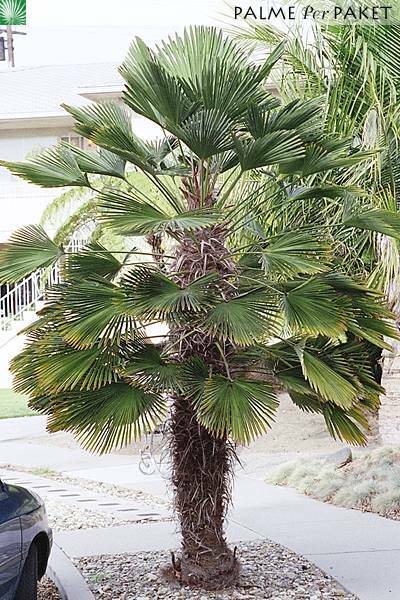 This palm is perfectly hardy and doesn’t forms a big stem. A nice species with long folioles which color blue when adult. Well hardy if kept dry and grows extremely slowly. 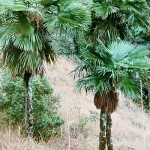 Palm from the northern mountain range in Thailand where it grows in limestone on altitudes up to 2000 meter (6561 ft). It its natural habitat it can be surrounded by clouds for entire days. Its stem isn’t covered with fibers and it has beautiful fronds. Very similar to the T. ukhrulensis. Still only sold as seedling or small plants for this instance. Very wanted by hobbyists. Typical characteristic is the blue-silver coloring on the bottom of the leaves. They may specify the real princeps with “blue silver” as the T. sp. ‘Nova’ is also sold as the “princeps green”. This one however lacks the silver coloring and is therefore less spectacular. Again a quite recent discovery within this genus. 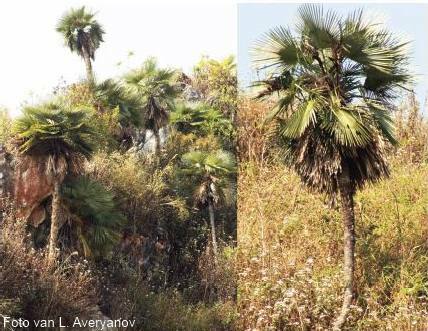 This species was found in a small limestone area on 1700 meters (5577 ft) altitude in Laos and so widened the habitat of the Trachycarpus genus even further south/south-east. The species was named after Prof. Peter H. Raven. Closely related to the takil but native from lower altitudes on the same mountain range. They have the same tomentum on the petioles and silver color on the bottom of the leaves but growquicker than the takil. The Kumaon also would be more hardy than the fortunei. Native from an area with a place called Naini Tal, Khumoan, northern India. The Naini Tal grows on heights of 2400 meters (7874 ft.). 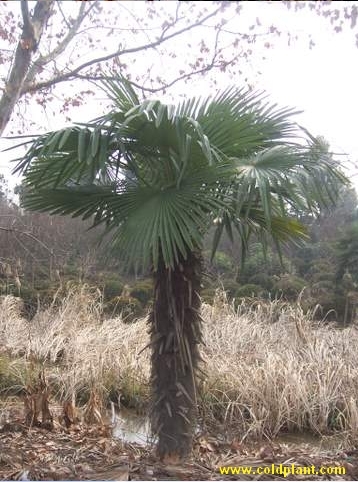 This species was discovered in 1994 where it was taken for a Trachycarpus takil which seemed to be incorrect afterwards. Genetically very close to the fortunei but taller with a bigger stam and bigger fronds. 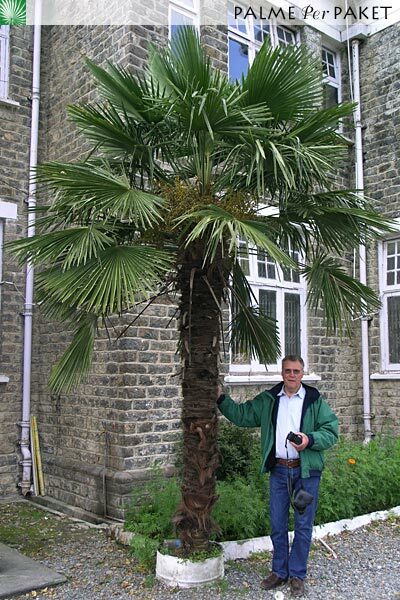 Every owner of this species will confirm that it is slightly more hardy than the Trachycarpus fortunei. This is why it has its succes in eastern Europe countries. 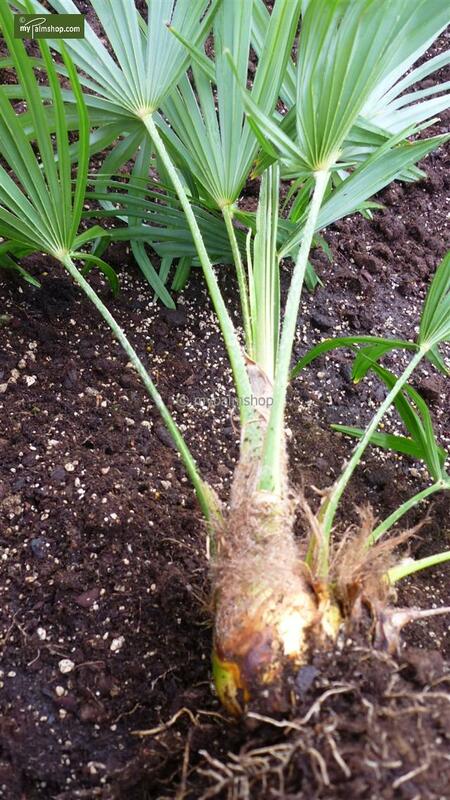 When it was grown from a seed, this species seemed to be a Trachycarpus princeps what seemed to be wrong afterwards. 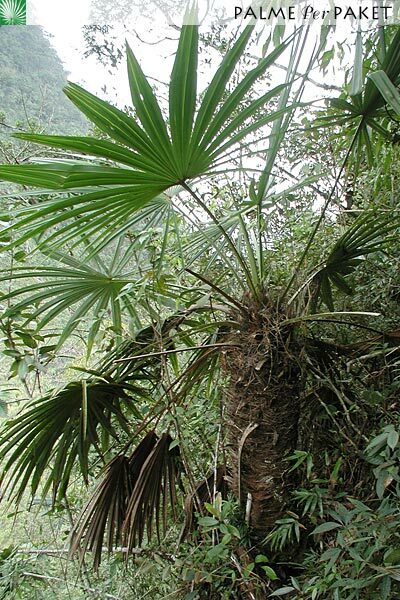 It is closely related to the Trachycarpus fortunei but grows much quicker and is therefor the quickest growing species in this genus. 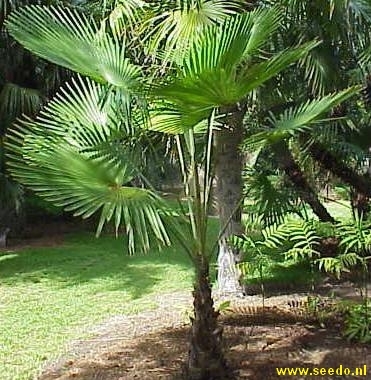 Adult fronds are soft and finely segmented but young plants look a bit like the Trachycarpus martianus. 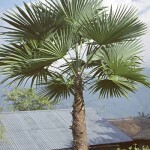 There are not yet big subjects to be found but it is supposed to become a slender and graceful palm. There is a lot of mystery around the real origin of this species and its existence. 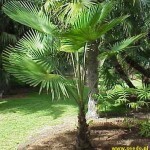 It is often confused with the Trachycarpus sp. Naini Tal. The takil is also native from the same Khuman area on altitudes between 1800 and 2700 meters (5905 -8858 ft). The leaflets aren’t cut out very deep and it stem lacks the fibres (in opposite to the Naini Tal). 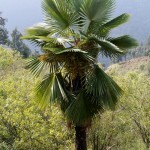 The fibres and the leaves do however show some ressemblances with the Trachycarpus princeps, manipur and oreophilus, more than the regular fortunei. 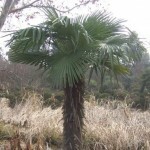 This palm grows in higher regions with snowy winters. It is found in open areas and woodlands. It would be resistant against fire to some level. This new discovery native to the north-east of India on the border with Birma at the level of Nagaland and Manipur. 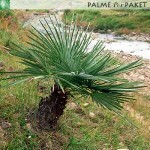 This palm grows on 2000 meters (6561 ft) altitude and has a non covered stem which mesures up to 15 meters (49 ft.). One of the characteristics of this species are the leaves which are stiffer and silvery colored on the bottom which makes it a bit similar to the princips yet it isn’t that blue-colored and has more leaflets. 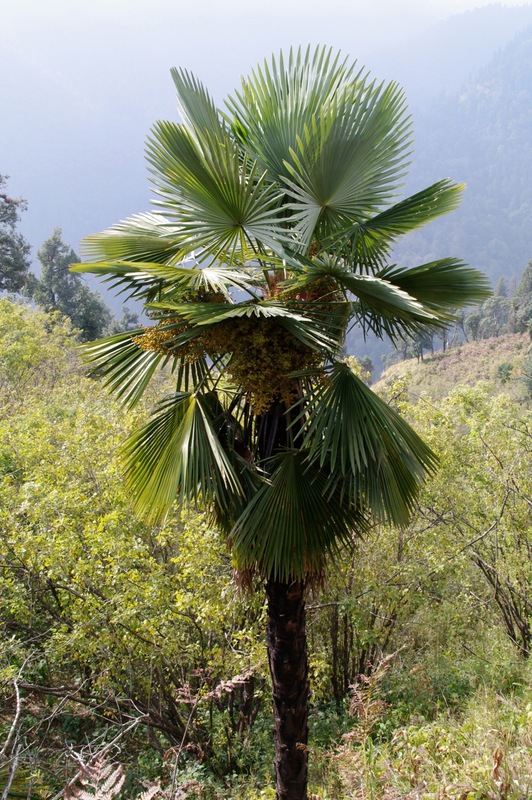 Depending in its original habitat different names can be given but genetically they all belong to the species Trachycarpus ukhrulense, which however is still often called Trachycarpus manipur. The female flower of a fortunei was pollinated by pollen from a male wagnerianus. This species will contain characteristics of both species. The female flower of a nanus was pollinated by pollen from a male fortunei. This species will contain characteristics of both species. The female flower of a nanus was pollinated by pollen from a male wagnerianus. This species will contain characteristics of both species. The female flower of a nanus was pollinated by pollen from a male fortunei ‘Winsan’. This species will contain characteristics of both species. The female flower of a wagnerianus was pollinated by pollen from a male fortunei. This species will contain characteristics of both species. The female flower of a wagnerianus was pollinated by pollen from a male nanus. This species will contain characteristics of both species. The mentioned hardiness is only an indication! The information found on certain species can be quite contradictory. This is why we kept are indications on hardiness careful to avoid deceptions afterwards. In addition, some species were only recently discovered on therefor still little is known about them. 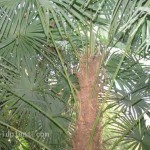 Other factors will also have an impact on the real hardiness of the palm. 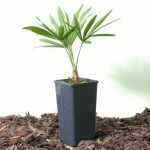 In a container your palm would be more sensitive to frost than when it is planted in the garden. If however you notice an error in this article, please let us know!